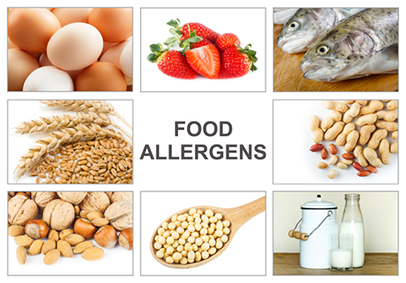 Of the estimated 15 million people in the U.S. with food allergies, nearly 6 million are children. And those who are severely allergic to a particular food item, especially kids, can become very anxious when they run into the problem food in any form. For example, someone with a peanut allergy who gets close to anyone eating peanuts or peanut butter may become extremely nervous and might want to run away. This can result in cutting back on social activities and feeling different and isolated. However, according to a recent article in Annals of Allergy, Asthma and Immunology, most kids with food allergies have no reason to be afraid of being near the item that triggers a reaction. “We developed the proximity food challenge to help ease anxiety in kids with food allergies,” said allergist Chitra Dinakar, M.D., lead author of the article. “The challenge allows kids with food allergies — such as to peanut butter or milk — to not only be in the same room with the food, but also to breathe in the air and have the food placed on their skin. Kids see for themselves it is safe to be near their food allergen as long as they don’t eat it or get it into their eyes, nose or scraped skin. It’s a great relief,” she said. The proximity food challenge is a one-hour process in which a child with food allergies is exposed to the food item in a controlled, safe setting, typically at a doctor’s office. “We’ve done dozens of proximity food challenges, and the majority of children have not suffered a reaction. Actually, only one child had a hive appear,” said allergist Jay Portnoy, M.D., co-author of the article. “Most kids are initially scared, but when they don’t have a reaction, their fears are eased, and they have a new sense of freedom. They have more confidence in being a part of their community.” Most people with food allergies only react to ingesting the allergen. Only a very small percentage of people have a severe reaction to breathing in dust or vapor from the allergen such as the protein from shelling peanuts or cooking shellfish, the article noted.